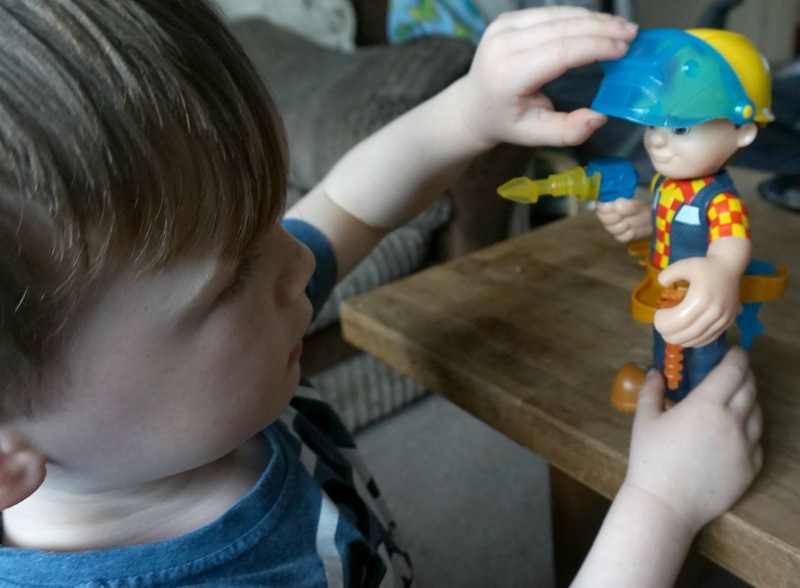 Hello lovelies, so it's very toy review post heavy this week as the boys were very lucky to have multiple toys to review over the past couple of weeks, I've been loving the peace! 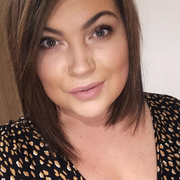 I remember watching Bob the builder with my younger brothers and always found it really annoying, I much prefer the newer version thats on the TV now and my boys really enjoy it, the song is catchy and easy to sing a long to. The boys have fought over this toy because they both loved it but luckily Lawson is better at sharing and although Lawson is only almost two he loved walking around with Bob but loved even more watching Oscar play with it and he showed Lawson how to play with it properly. 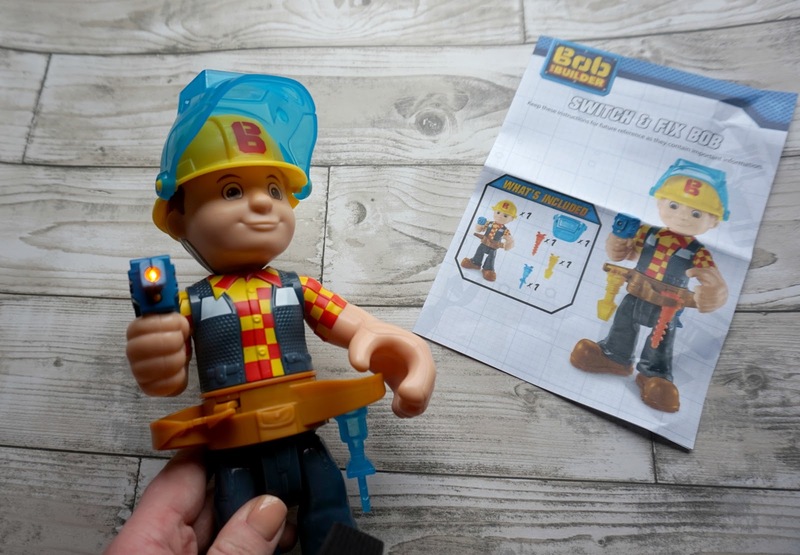 Bob comes with a rotating tool belt that holds three screw parts, a jackhammer, saw and a auger. 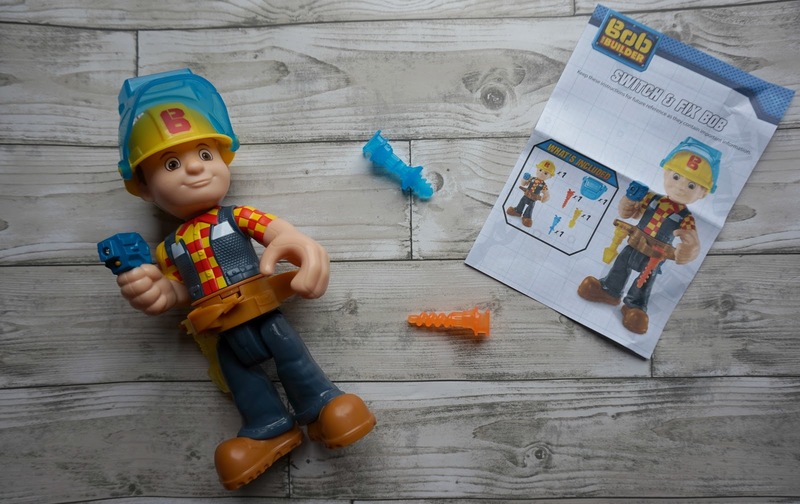 If you push down on Bobs head his drill attaches to those parts once you have placed them on his tool belt correctly, press his head down again and it releases the tool part straight back on to his tool belt, whilst he is doing this he also says his famous phrases and the Bob the builder theme song which Lawson loves the best. The LED in the hand mounted flashlight diffuses light through the translucent tool bits when they are pressed, they aim this toy at the 3+ range but as I was near Lawson when he was playing it and he's passed the lets chuck anything in my mouth stage he also loved it and dancing to the music. 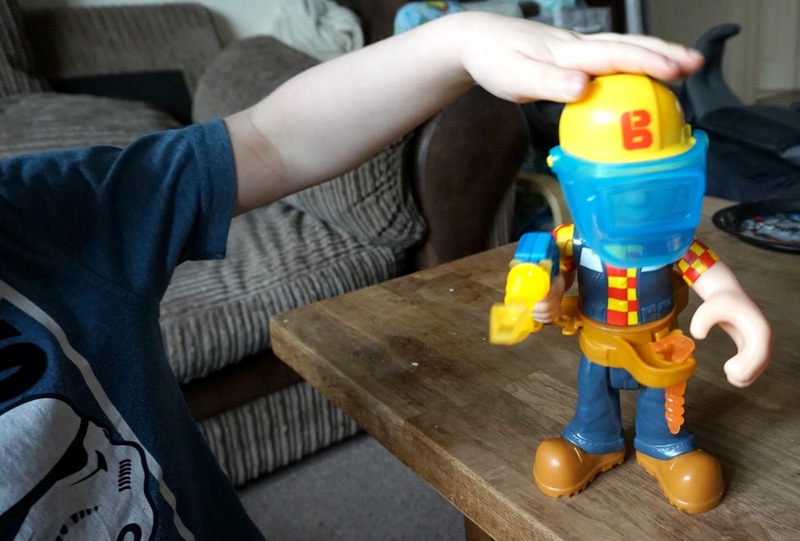 He is 28cm in height so perfect for little hands to grab him and take him around the house trying to 'fix things'. We set up a little work station and had lots of fun pretending that Bob was saving the day for lots of Oscars characters. When you have a child's imagination and a few toys you can have hours of fun indoors or out. 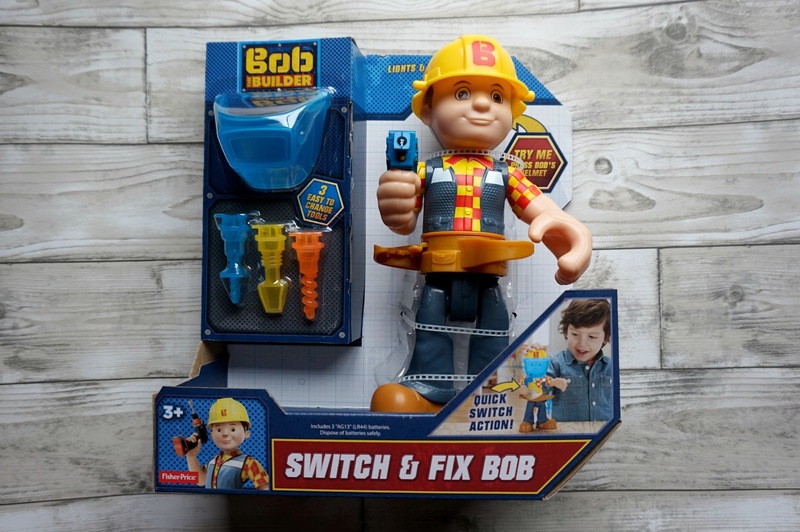 We all loved this and would highly recommend for any Bob fans out there.